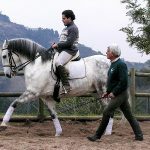 The Lusitano is a breed of very ancient and elegant equines that developed in the Iberian Peninsula many millenniums ago. 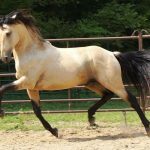 Very little is known about these horses because of their ancientness. However, they have been well-renowned, down the ages, for their graceful features and willingness to please. This friendly breed has been a favorite to many heroes and royals for their higher-than-average intelligence level and majestic appearance. 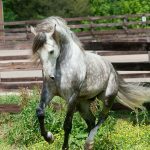 The Lusitano horses have long been regarded as a status symbol and are still famous for their outstanding performance in most of the equestrian disciplines, including dressage, driving, and pleasure riding. 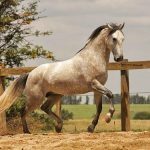 The Lusitano is a very ancient horse and is said to be the ‘twin brother’ of the mighty Andalusian horse, and with the latter, the Lusitano breed shares a few of the oldest bloodlines in history. 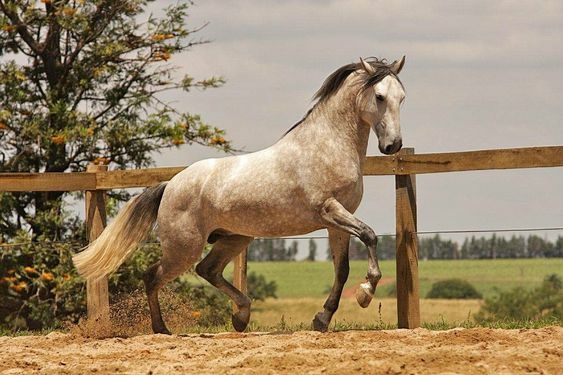 In fact, the Lusitano has the same ancestry as the Andalusian, except that, it is only a Portuguese variant of the latter. Both the horses share even the same signature tail and mane as a result of years of breeding in hot weather climates. 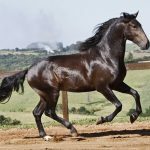 The primary difference between both is that the Lusitano breed was specifically bred and trained to appear in the bullfighting ring, carrying the matadors, a classic game that is still prevalent in Portugal. 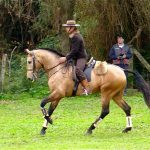 However, apart from bullfighting, these incredibly versatile horses were also employed in pulling carriages, working in the farms, and even be a part of the cavalry. 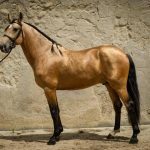 Both the Lusitano and the Andalusian Horses have their bloodlines that can trace back to the Iberian Peninsula’s Sorraia Horses that lived during 20,000 BC These horses have even seen in the primitive cave paintings. 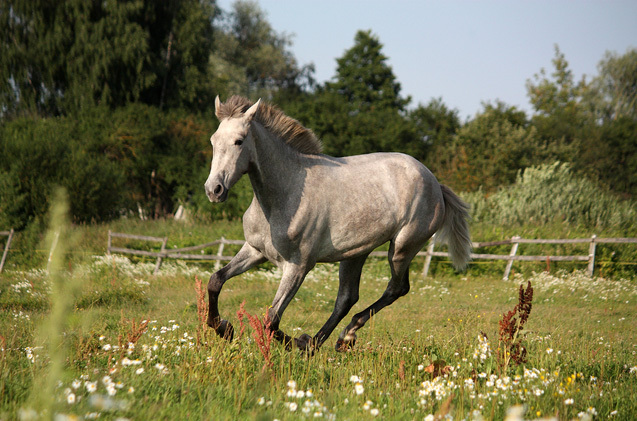 In 900 BC, the Phoenician and the Celtic traders brought their own horses from northern Africa to the Iberian region. 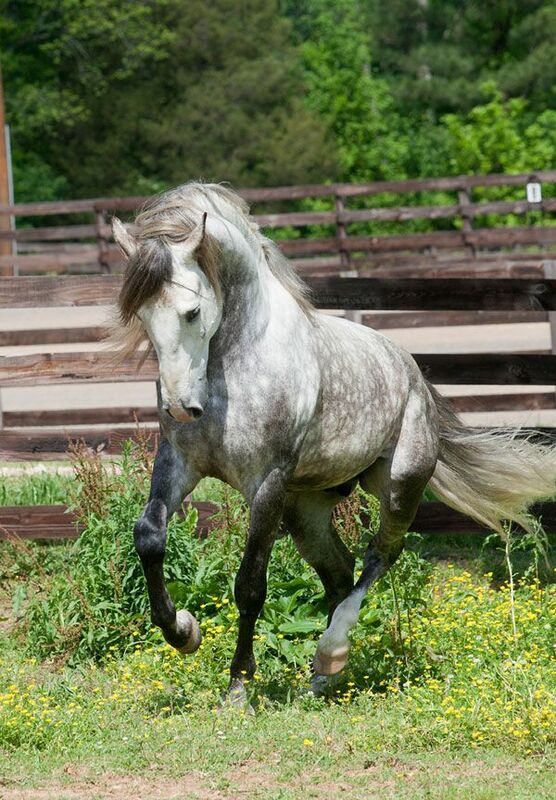 These horses were made to breed with the Sorraia animals, giving birth to the first line of the Lusitano horses. 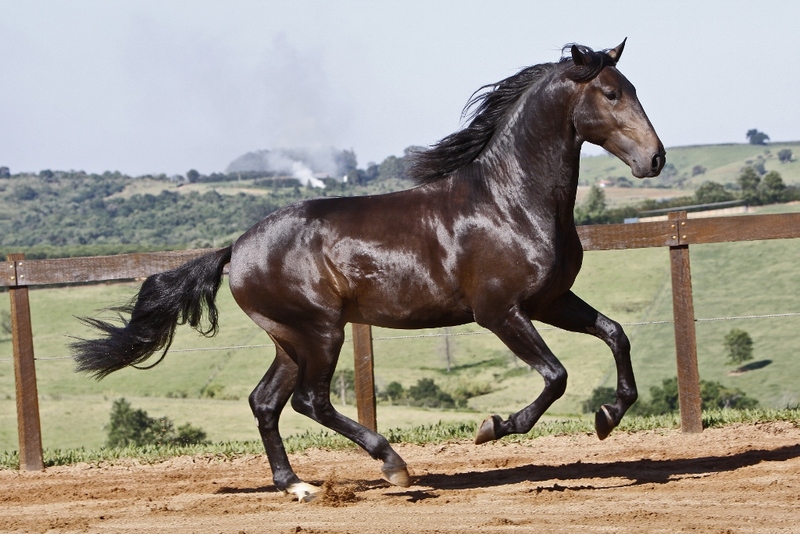 It was around 5,000 BC that the Lusitanians domesticated the Lusitano horse. This warrior group used to fight on horseback, using a unique combat technique named ‘gineta’. 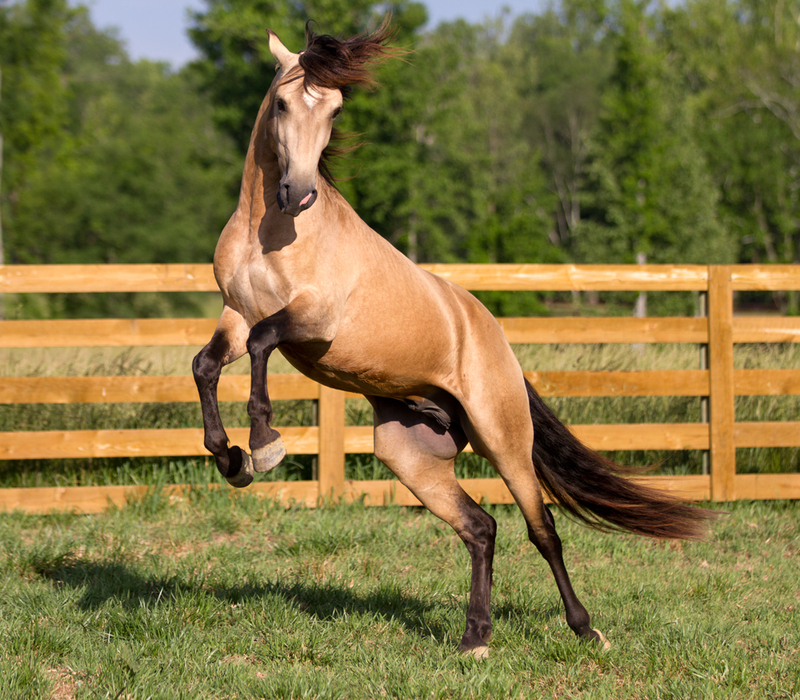 Interestingly, only an individual who had the skill of sophisticated horsemanship, and also, possessed a reliable, robust and swift horse was able to meet with conditions specified to utilize this particular technique. 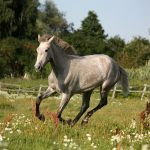 Eventually, the connection between the horse and the rider became so intense that the life of a rider and his winning a battle vested much on the abilities of his horse. 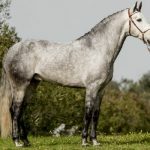 Today’s ‘Alter Real’ horses are nothing but a strain of the Lusitano horse bred in the mid-18th century, solely in Portugal’s ‘Alter Real State Stud’, which was developed with the initiative of the Portuguese royal family for the national riding academy and royal use. Down the centuries, these horses remained as the proud witness of the great Roman crusades and medieval wars, carrying heroes and kings on their backs. 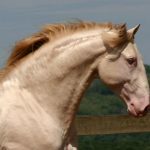 Gradually, the breed has shaped the way we know it today. 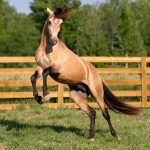 The modern-day Lusitano is known for their braveness and intelligent mind, willingness to please, and the unparalleled ability to perform in high school dressage competitions that includes even the dramatic airs above the ground. 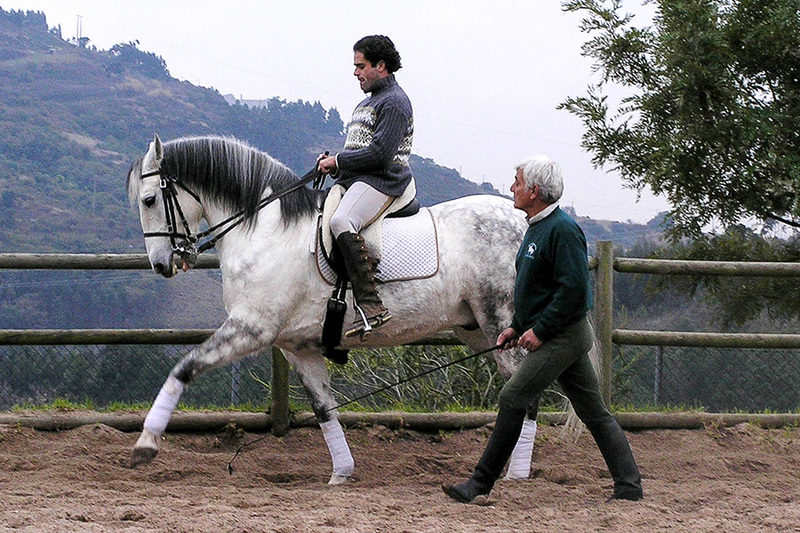 Until the 1960s, the Andalusians and the Lusitanos shared a joint registry. 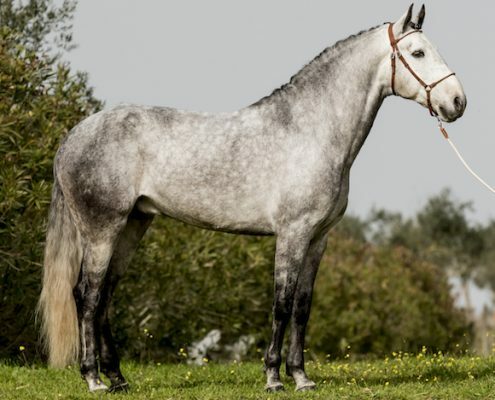 However, in 1966, an official studbook for the Lusitano was independently established, and it was during this time that the official name of the horse was changed to Puro Sangue Lusitano. 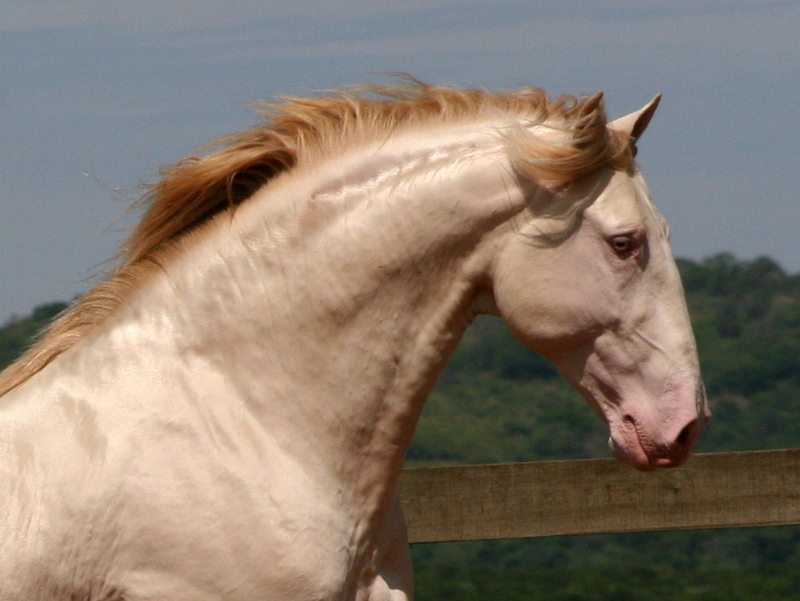 An ‘Alter Real’ stallion that was taken to Brazil before the invasion of Napoleon acted as the foundation of the modern Mangalarga Marchador breed. 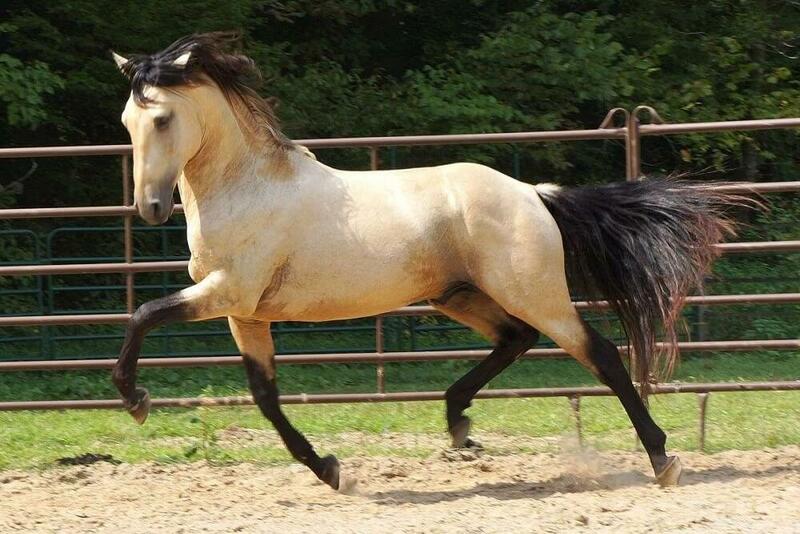 Lusitano animals were used for breeding Colorado Ranger horses between 1980 and 1987. However, the breed registry does not allow these crosses anymore. 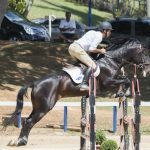 A Lusitano that won bronze in dressage at the World Equestrian Games in 2002, also won a silver medal at the 2004 Summer Olympics. 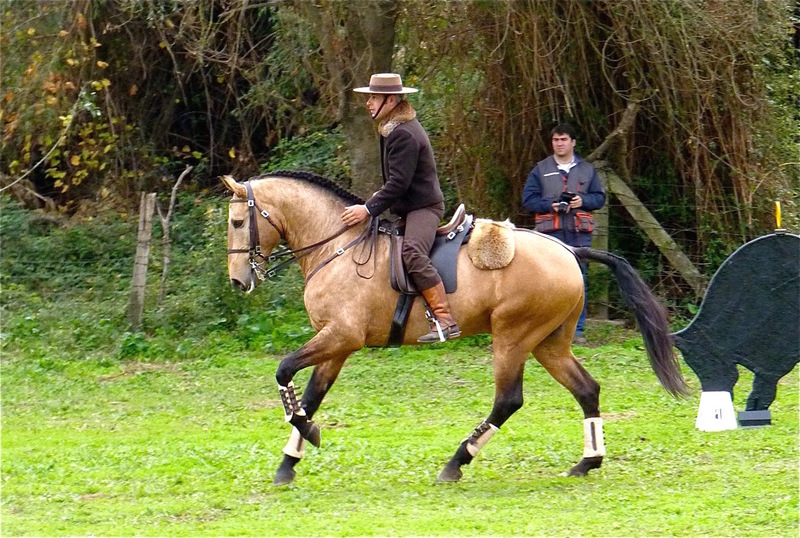 At present, skilled Lusitanos are still used for mounted bullfighting today. 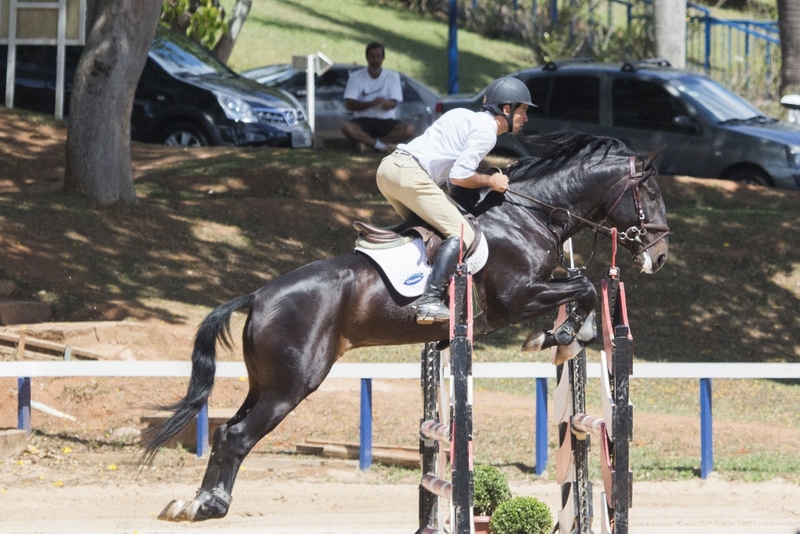 However, it is a ‘matter of disgrace’ to the rider if the horse is left injured. 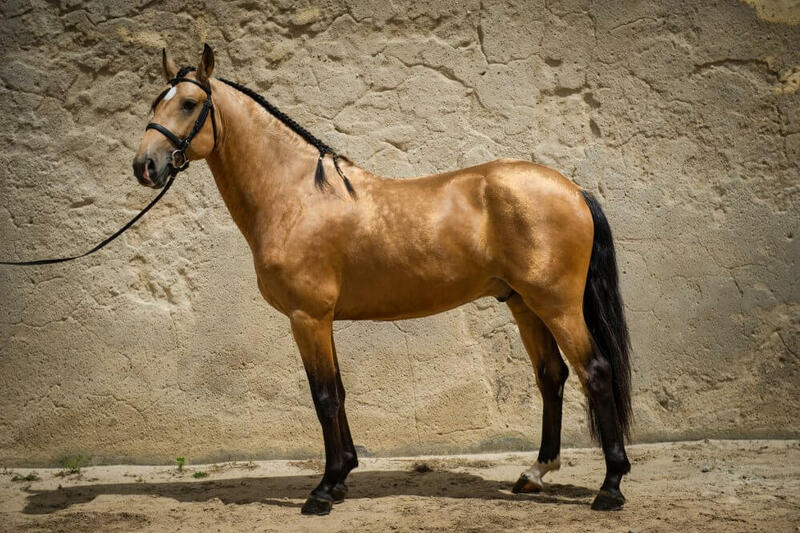 In the 2006 World Equestrian Games, the entire Portuguese dressage team took part riding Lusitanos.